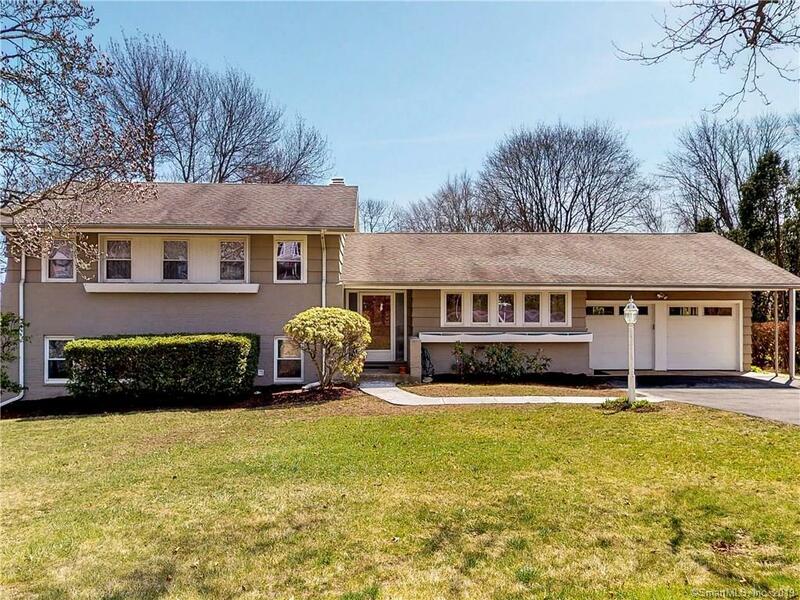 Mid century gem located in the iconic Skytop section of Fairfield. This home was built and owned by Sam Roberts, who developed a large portion of Black Rock Turnpike's commercial land. When you enter this lovely dwelling, you will be âwowedâ by the state of the art kitchen with quartz counters and stainless appliances. Gorgeous hardwood floors flow throughout the main and upper levels of this 4 bedroom, 3 bath beautifully appointed home. The lower level generously boasts a large family room, bedroom, office and full bath. Chock filled with upgrades that include an inviting 3 season porch, full house generator, central air, ADT security system, 200 amp electrical, wood deck, finished walk out lower level. Recent improvements include exterior paint (2015), roof (2002), hot water heater (2017), CAC/furnace (2002), windows (2002) and refinished hardwood floors. You will love outdoor entertaining or relaxing on the wood deck overlooking a spacious, quiet backyard. Ideally located in a great family neighborhood yet minutes to restaurants, shopping, parks and so much more!